Previews a future compact sedan to rival the BMW 1 Series and Audi A3. Mercedes-Benz has taken the wraps off the Concept A Sedan in Shanghai today. 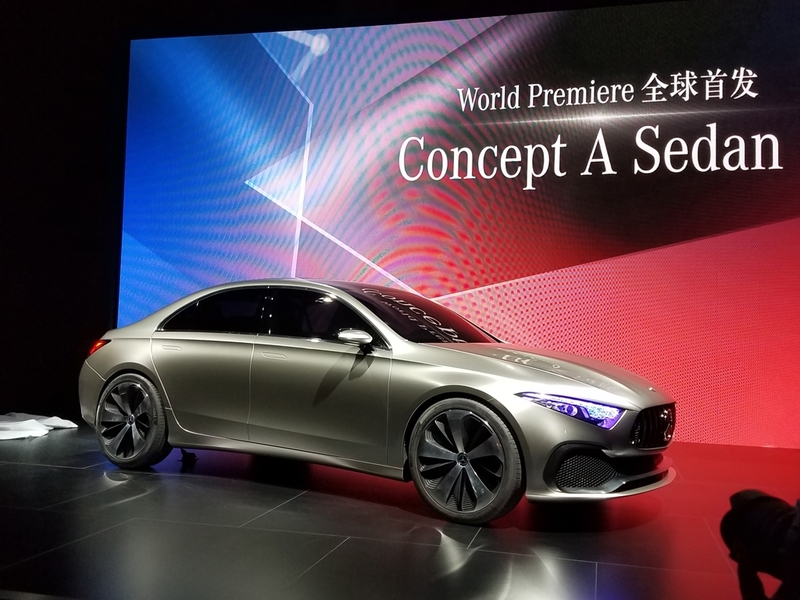 It previews a future compact sedan to rival the BMW 1 Series and Audi A3, and the updated version of Merc's 'Sensual Purity' design language. For the A Sedan, Mercedes has dropped their fascination for heavily sculpted creases and moved towards a smoother appearance with fewer lines. Unlike the CLA, the Concept A Sedan has a three-box silhouette with short overhangs for better practicality and rear seat comfort. It also features the Panamericana grille with its vertical slats and sportier body kit which could feature on the car's AMG performance versions. The Concept A Sedan measures 4,570mm in length, 1,870mm in width and 1,462mm in height, and it is claimed that the dimensions will be identical to that of the production A-Class sedan. For comparison, it is 116 mm shorter, 60 mm wider and 20 mm higher than the Mercedes C-Class. It will be based on the Mercedes-Benz MFA2 platform, which will underpin the next generation line of compact Mercedes products like the A Class, B Class, GLA Class, CLA Class and the upcoming GLB compact SUV. 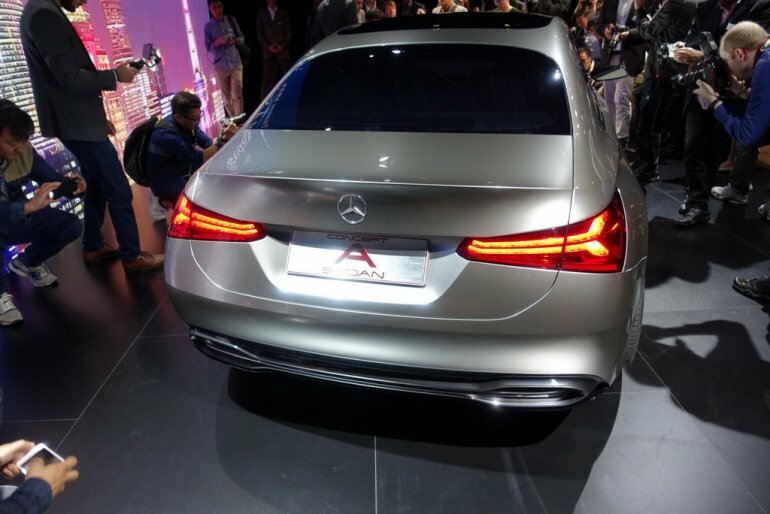 Expect the A Class sedan to launch in late 2018 or early 2019 in international markets, while a launch in India could be considered, given the demand for entry-level luxury cars.